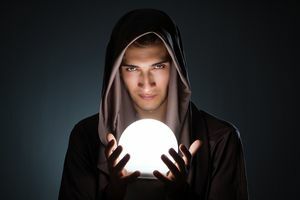 If you want to connect with your inner sorcerer, this is the quiz for you. Answer a few questions and discover what your witchcrafting Warlock name would be! This quiz will ask you magical questions as well as questions that test your personality. Remember to be honest, and you will be pleased with your Warlock name! Spell and wizardry are tools that only the most gifted can use. Take this quiz and uncover exactly what Warlock name would be bestowed on to you if you were a magic using sorcerer!